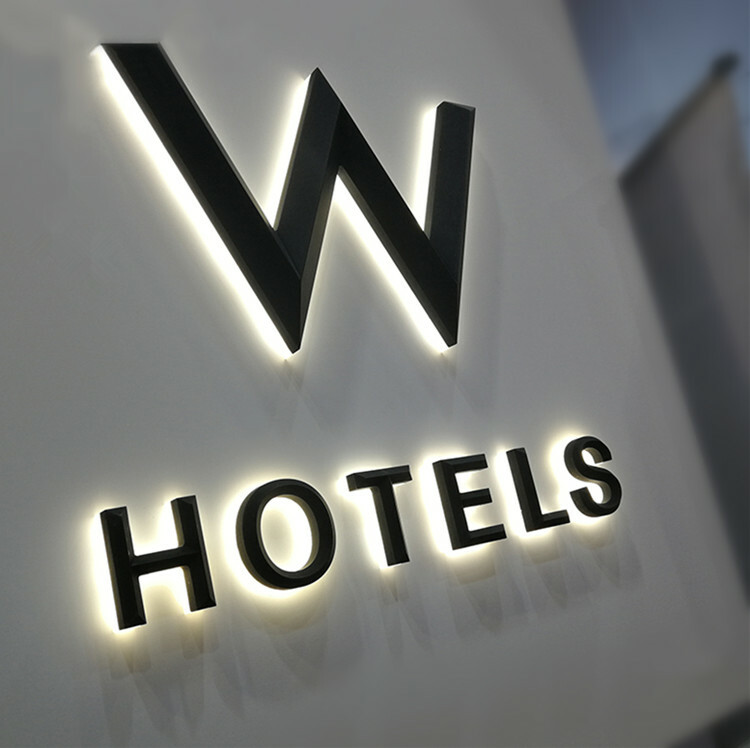 The metal backlit letter is fully named metal word shell with back lighting, which is referred to as the metal back light word. 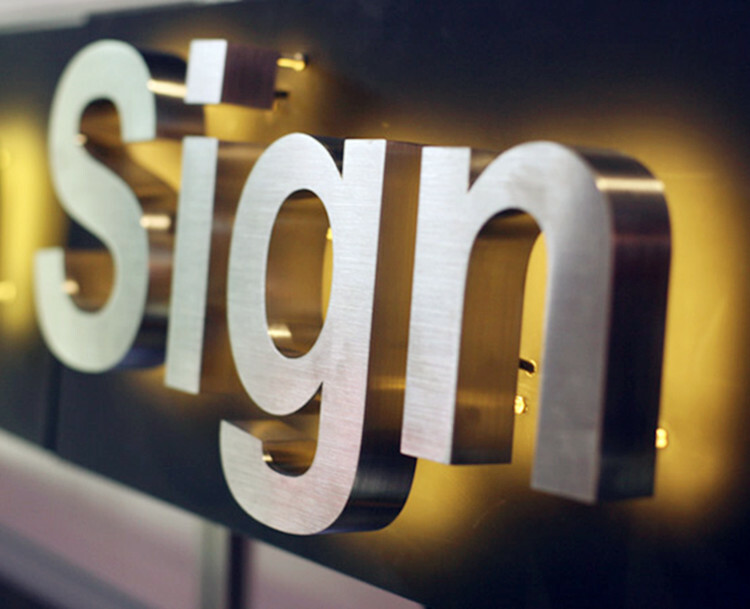 It is an advertising word that is made up of a metal letter shell and LED light under the word shell to form a backlight effect. 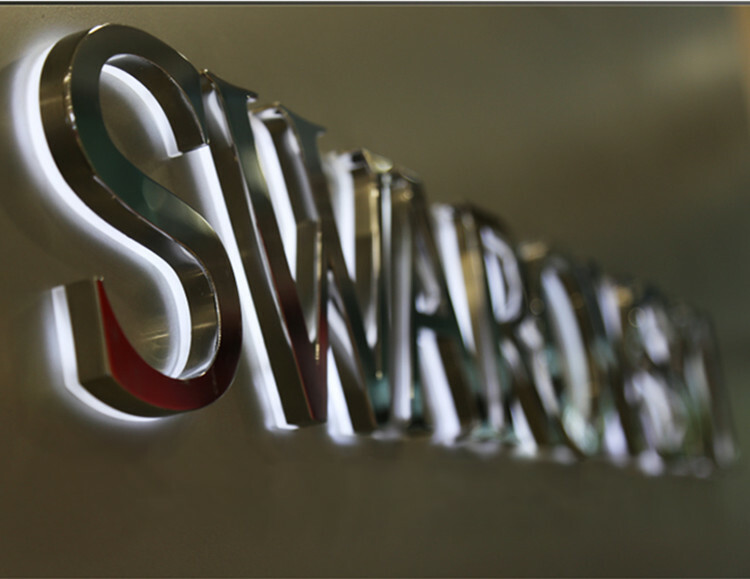 The metal backlit word has two kinds of luminous effects, one is a ceramic case with a 10-20mm acrylic plate inlaid at the bottom. The other is a metal backlit word made of a metal case with 70mm screws. 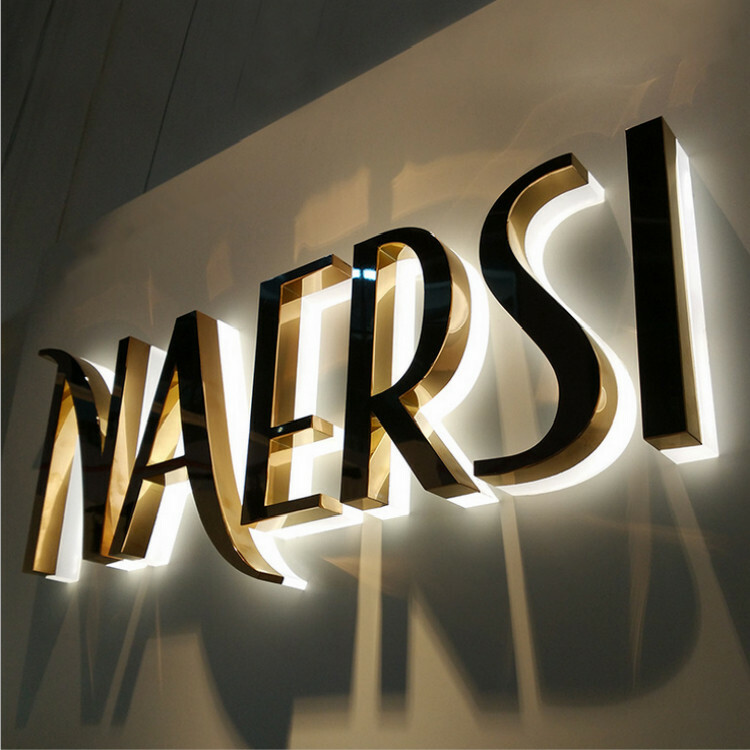 The backlit word reveals the inner layer of light, giving people a deep and heavy feeling. It is especially suitable for high-end luxury enterprises or products. 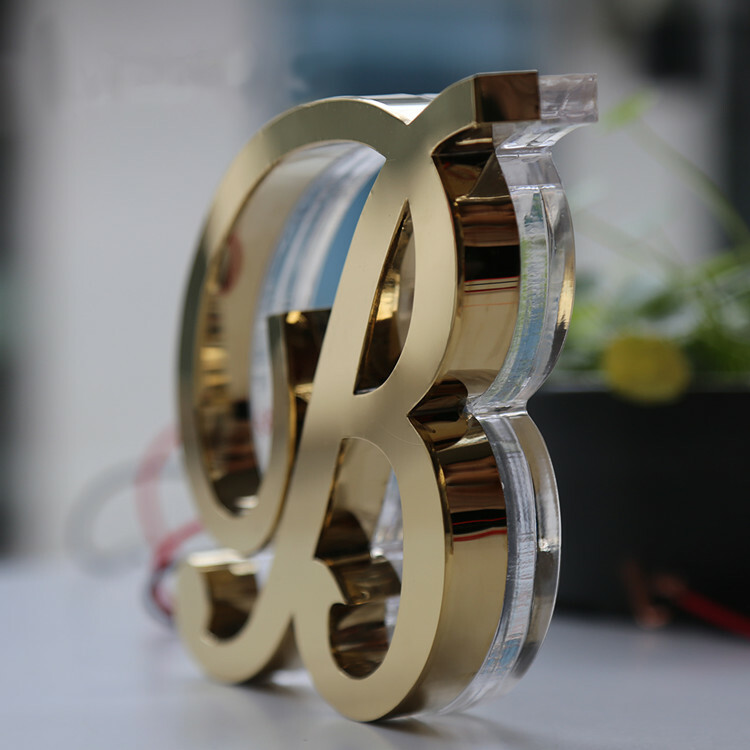 It looks very elegant and improves the characteristics that ordinary metal characters do not light. 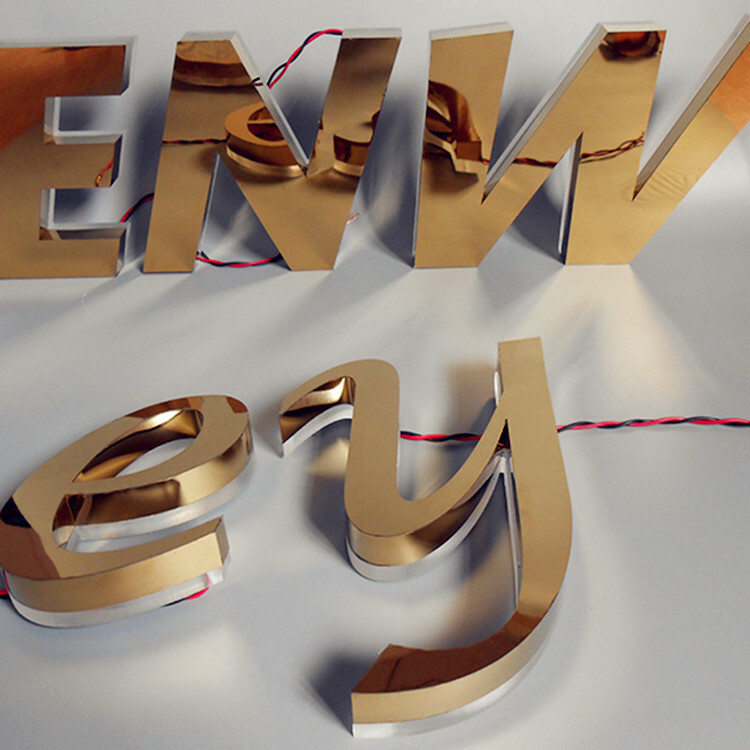 The installation method of such backlight letters is: wall mounting and off-wall installation. 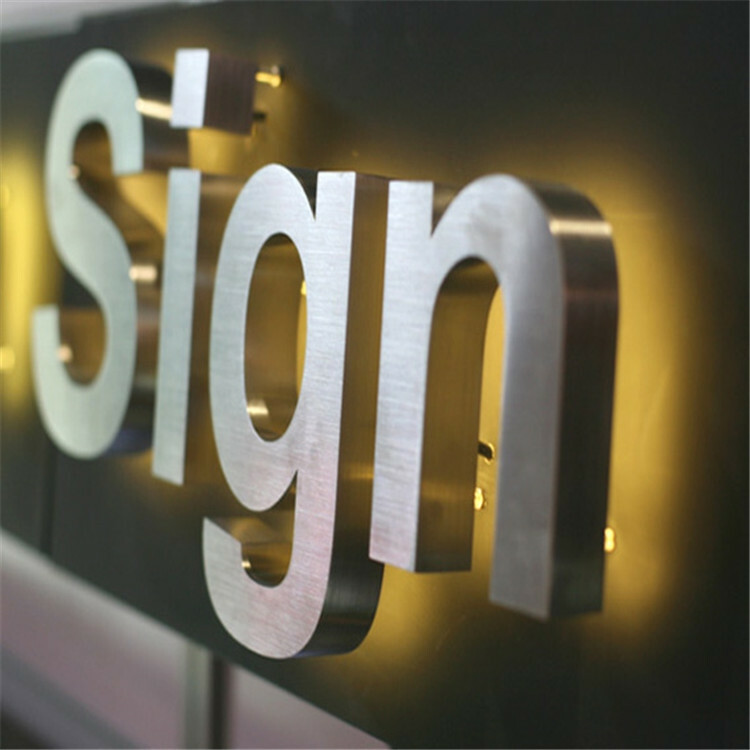 Looking for ideal Light Business Signs Manufacturer & supplier ? We have a wide selection at great prices to help you get creative. All the Office Door Signs are quality guaranteed. 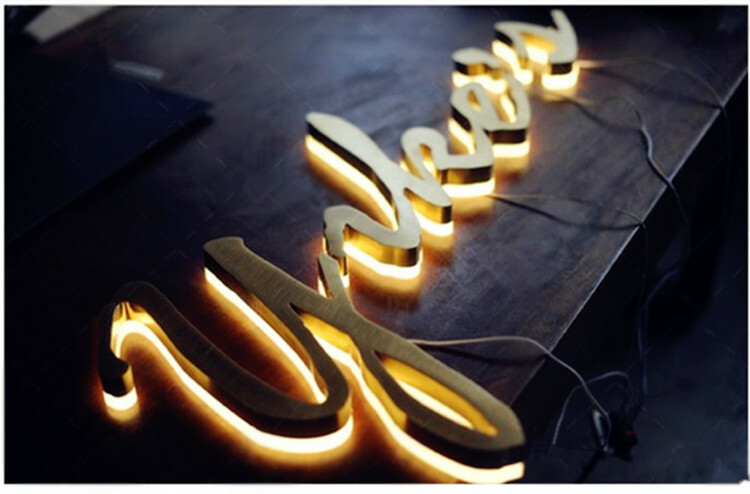 We are China Origin Factory of Letter Signs with Lights. If you have any question, please feel free to contact us.